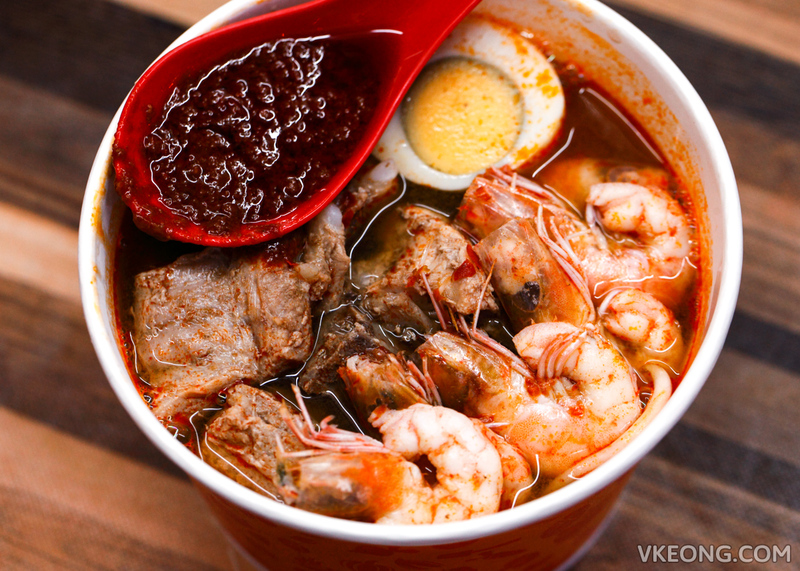 There’s a new food truck selling prawn mee in Bandar Puteri Puchong. 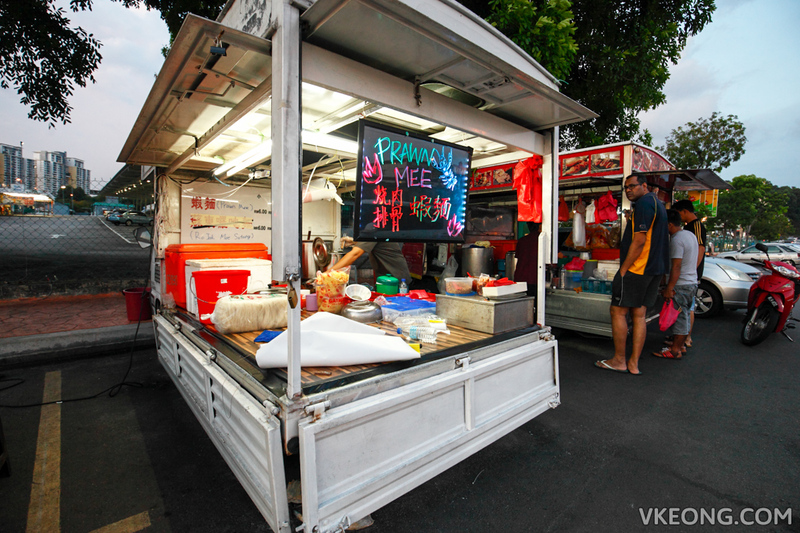 It has been around for about 2 months old, opens from 5pm onward and can be found parked right outside Giant hypermarket. 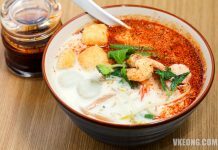 One of the reasons he became popular recently is because you can add pork ribs and roast pork into your noodle. 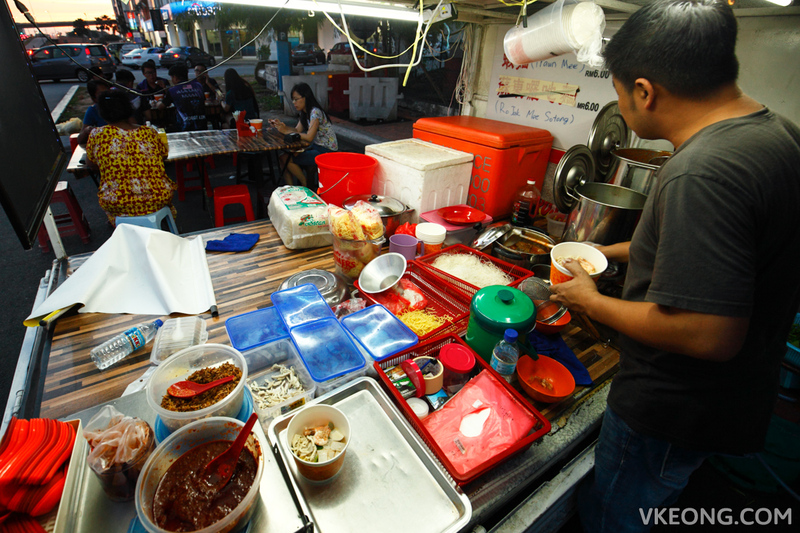 From what I was told, the boss had never been a hawker so this would be his first venture into the trade. But just so you know I did not stumple upon the food truck myself. 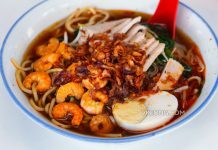 In fact I only knew about this prawn mee after seeing it being shared frequently in Mamak Online. 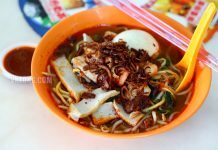 FYI, Mamak Online (MMO) is a Facebook group where we share and talk about (mostly good) food – so join up if you share the same passion. 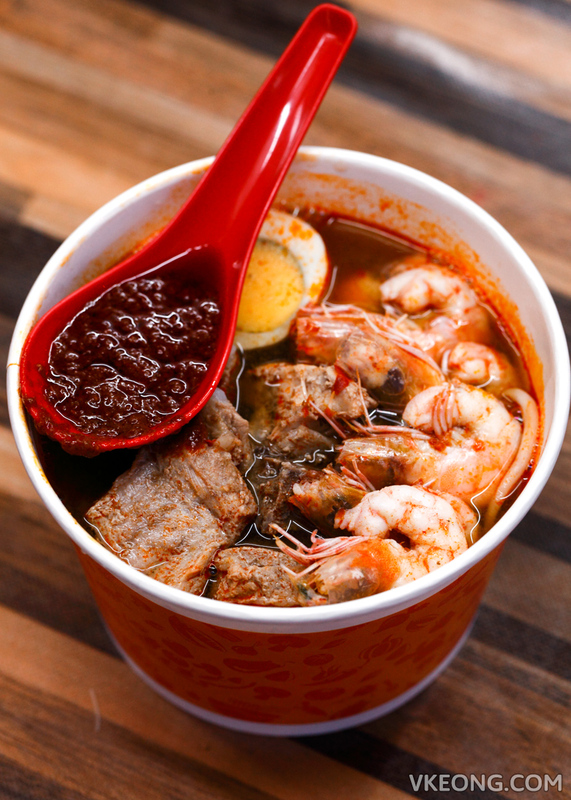 For those eating at the pop up tables, the prawn mee will be served in a paper cup. It may appear small but the cup is actually quite deep so the portion is larger than it seems. The standard serving costs RM6 but the version you see above has additional prawns and pork ribs for extra RM4. 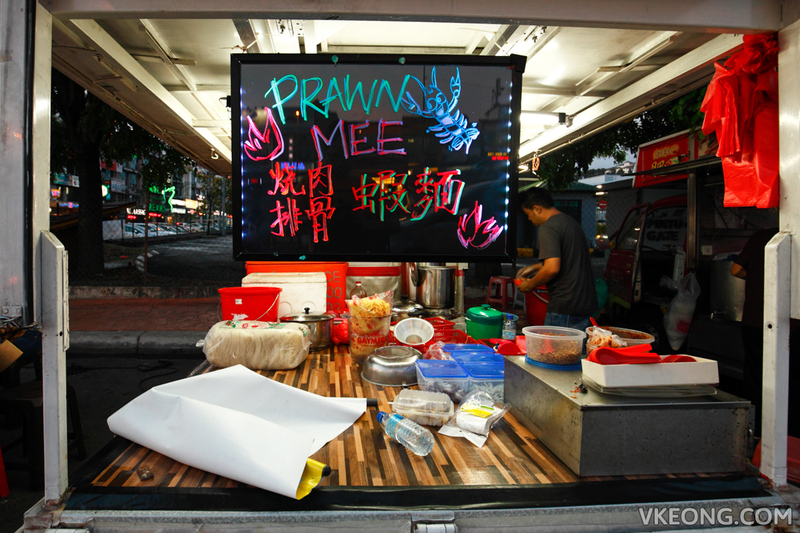 Overall it’s a satisfying prawn mee and the soup was aromatic and tasty, definitely worth checking out. Price wise I would say it’s reasonable considering most places would have charged at least RM5 for the same amount of pork ribs. The only gripe I have is that some of the prawns still have their shells intact which caused slight annoyance.